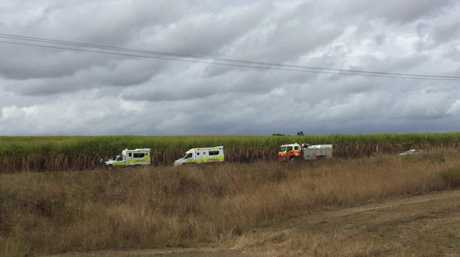 A FORENSIC crew is at the scene of a fatal crash at Wallaville. 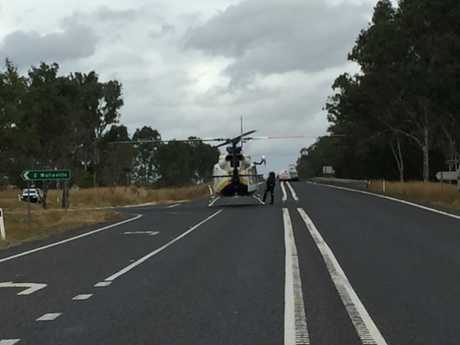 Earlier today, a 53-year-old man was confirmed dead at the scene along the Bruce Highway. Police are currently mapping out the crash site. A coroner is on scene. The vehicle involved in the crash partially submerged in the dam beside the highway. Fatal crash: Paramedic Steven Bechly. POLICE have confirmed a 53-year-old man has died in a crash along the Bruce Highway at Wallaville. A combination of witnesses, police and paramedics carried out 40 minutes of CPR, however, the man was unable to be revived. It is believed the man suffered a medical episode while driving, which led to the crash. The helicopter called to the site of the crash has left. The Bruce Highway isopen to all through traffic. 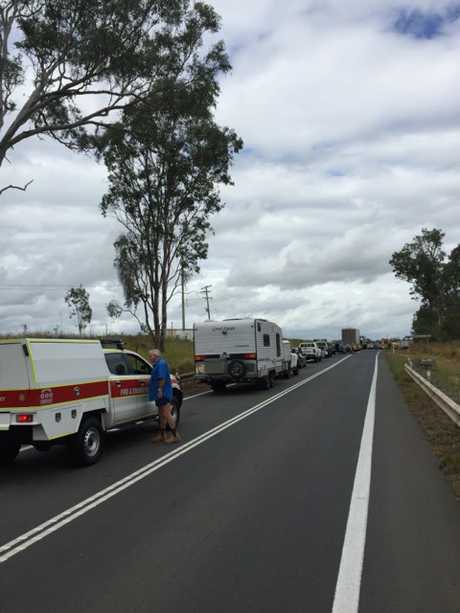 THE southern side of the Bruce Highway has been blocked as crews tend to the incident. A RESCUE helicopter has arrived at the scene of the high-speed crash. The Bruce Highway has been blocked in both directions at Zillman Rd. The scene of the crash at Wallaville. PARAMEDICS are doing CPR on a man in his 50s after his vehicle crashed at Wallaville. 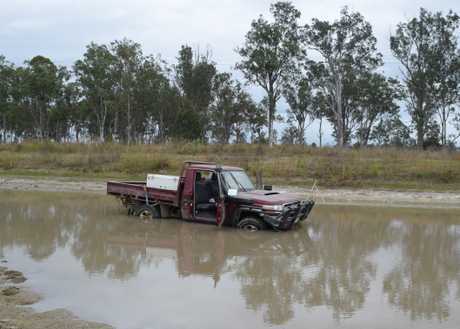 The man was retrieved from a dam about 100m from the Bruce Highway by two witnesses. Initial reports are the man suffered a medical episode before his car was scene swerving and bouncing against guard rails on either side of the road. EMERGENCY services are en route to a single-vehicle crash at Wallaville. Police, fireys and paramedics are responding to reports a four-wheel drive has crashed into a dam near Zillman Rd and the Bruce Highway. Reports of the high-speed crash came through about 11.30pm. Traffic banks up following a crash at Wallaville. Initial reports are the car involved smashed through guard rails along the road and crashed into a neighbouring dam. It is understood the driver is still inside the vehicle.